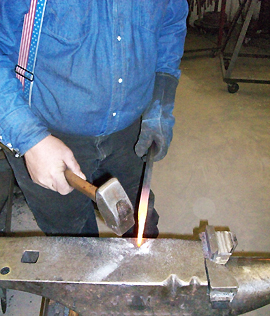 Kaimann Welding, Inc. is a full service Welding, Fabrication & Blacksmith Shop. Owned & Operated by David Kaimann, Certified Welder. The Certifications he holds are: GMAW, SMAW, GTAW, & ASME. David has a long history of welding, metal works, and fabrication. 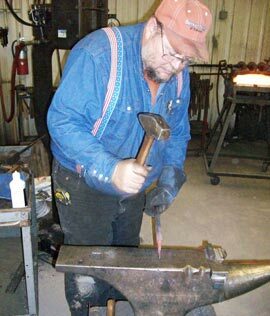 In 2010, he purchased the blacksmithing division of Spanish Lake Blacksmith Shop from Bob Schantz. 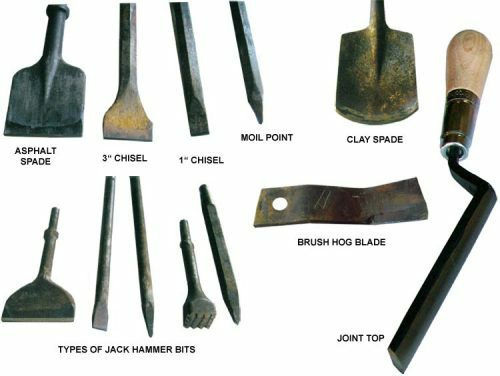 We specialize in re-forging jackhammer chisels & moil points, making tuck-pointing tools, & other custom forge work. With the ability & skill to repair a wide variety of equipment & tools, Kaimann Welding can save you and your business money by repairing rather than replacing farm & other types of equipment. Kaimann Welding provides MIG, TIG, & Arc welding. They also have capabilities to fabricate a wide range of products. Kaimann Welding, Inc. is conveniently located at 895 Old Moscow Mills Road in Troy, Missouri. David has more than 42 years of welding experience. Over the years he has worked in production, fabrication, aircraft, & tool & die shops. He has spent many years teaching welding to Lincoln County 4-H ‘ers. He has also offered advice to members of Troy FFA with their Farm Mechanic projects. In April of 2009, Kaimann Welding, Inc. opened full time. 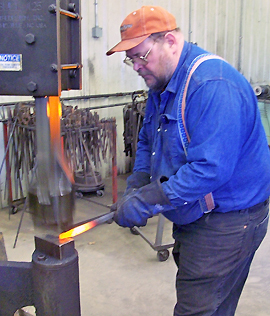 In 2010, the shop expanded to include a full service Blacksmith Shop. Following the footsteps of his Grandfather, Theodore Kaimann, David is enjoying his new addition to the shop & his blacksmithing skills.